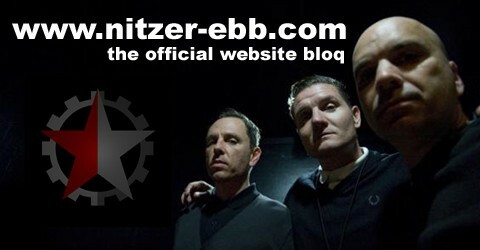 With Nitzer Ebb now on downtime after a couple of intense years of touring, including a powerful slot at Mute’s Short Circuit festival at The Roundhouse in London last year, Douglas McCarthy has recorded his first solo album, Life Is Sucking The Life Out Of Me. The album is due for release in April 2012. The interview was made by MJA Smith for Documentaryevidence.co.uk! Documentary Evidence is a website devoted to providing reviews and biographies of artists appearing on Mute Records and its various sub-labels since its launch by Daniel Miller in the late seventies.